Ischemic heart disease is a condition of the heart that is characterized by the decrease of blood supply to the heart muscle due in part to coronary heart disease. The risk of acquiring this kind of heart condition is increased due to a variety of factors that include old age, smoking, diabetes, high levels of cholesterol, and high blood pressure. Ischemic heart disease has been found to be more common in men than women. Chest pain. People suffering from Ischemic heart disease may experience chest pain when exerting effort and when exposed to cold temperatures and stressful emotional situations. Acute coronary syndrome characterized by severe chest pain that persists even after long periods of rest. This is accompanied by acute heart damage. Heart failure characterized by difficulty breathing and swelling of the extremities caused by significant weakness of the heart. Angina Pectoris. This is characterized by severe chest pain due to Ischemic heart disease. 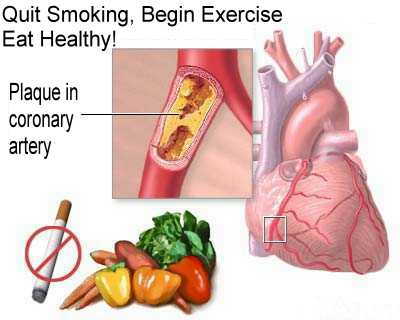 It is caused by the obstruction or the blockage of the coronary arteries. As a result, the arteries prevent the heart from getting the oxygen it needs to function. The pain that the person experiences when exerting effort is called Angina Pectoris. The intensity of the pain varies, depending on the situation and usually lasts for a few minutes. Heart attack. Another common complication of Ischemic heart disease is acute myocardial infarction or, in simple terms, a heart attack. Due to a person’s increased cholesterol levels and deposits of fats, the arteries become narrow. This can develop a blood clot and can significantly lessen the flow of blood and oxygen to the heart. Ischemic heart disease can lead to sudden cardiac death for some people. In the United States alone, about 250,000 people die each year due to cardiac arrest. For people who have Ischemic heart disease, cardiac arrest may be caused by ventricular fibrillation, which is characterized by an abnormal heart rhythm. This complication prevents the heart from contracting, thereby stopping blood flow to the brain as well as to other vital organs. There are several medications used to treat Ischemic heart disease. However, the type of medication prescribed to patients can vary depending on the symptoms as well as the patient’s overall medical history. There are two common surgeries that can help eliminate the symptoms of Ischemic heart disease, and these are: angioplasty, where a catheter is placed in the blocked artery to make the opening wider; and bypass surgery, also known as coronary artery bypass graft surgery, where patients undergo an open heart surgery and a cardiovascular surgeon attaches a vein taken from the patient’s leg or chest wall to serve as an alternative passage of blood to the heart.